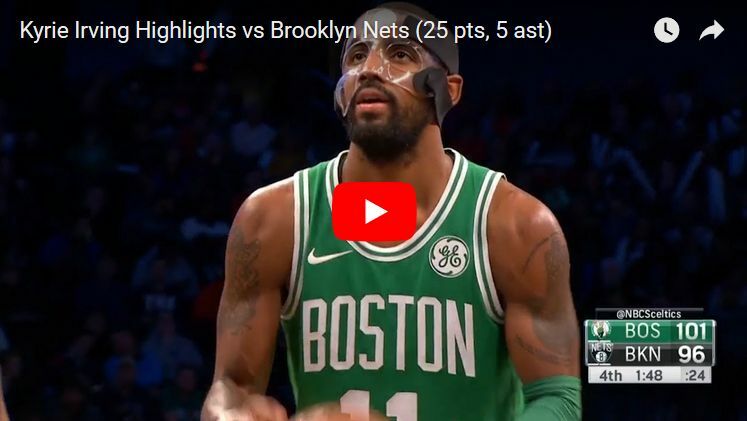 Kyrie Irving returned to the action after missing one game and scored team-high 25 points to go with five assists as he was playing with the mask. Marcus Morris added 21 points and 10 rebounds, posting his best game in Boston Celtics uniform so far. Jayson Tatum finished the game with 19 points, four boards and three steals and once again impressed many with his smoove, polished game on offensive end of the floor. Al Horford scored 17 points on very efficient, 8-for-10 shooting from the field and grabbed 11 rebounds to go with three assists on the night. Jaylen Brown added another impressive windmil dunk to his highlight reel and ended with 14 points as all five Celtics starters got into double-figures this time. 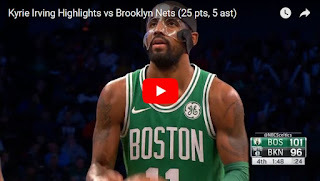 And once again, big key for the Boston was the effort on defensive end of the floor, including some great plays from Kyrie.